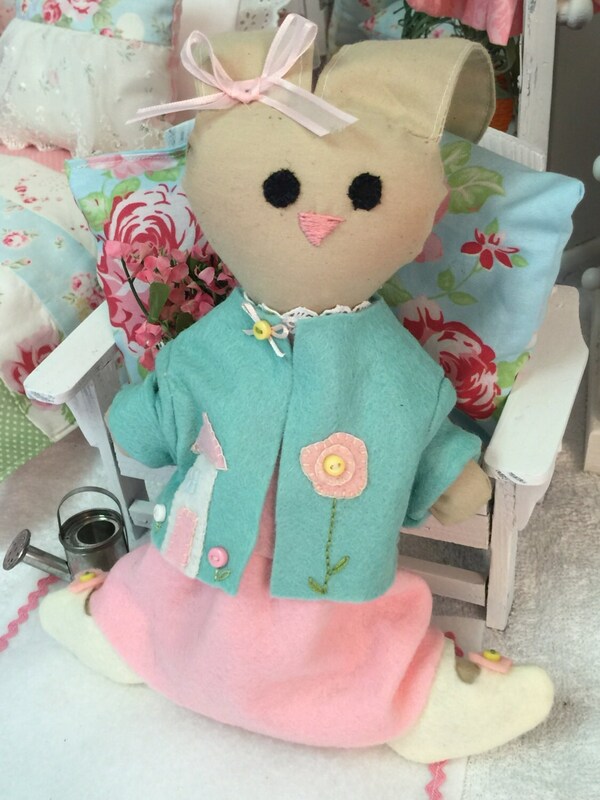 This pattern will make the Bunny doll and outfit in the first picture, including dress, jacket with carrots embellished on her pockets and the cutest shoes ever! 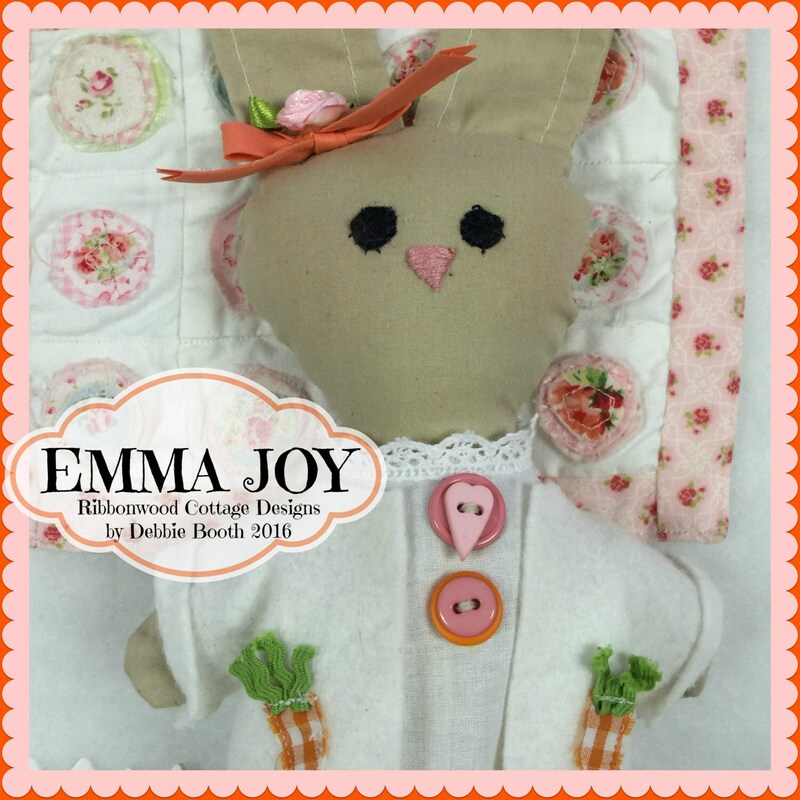 Be sure to see the other pictures they are of other patterns I offer that go along with Miss Emma Joy Bunny. 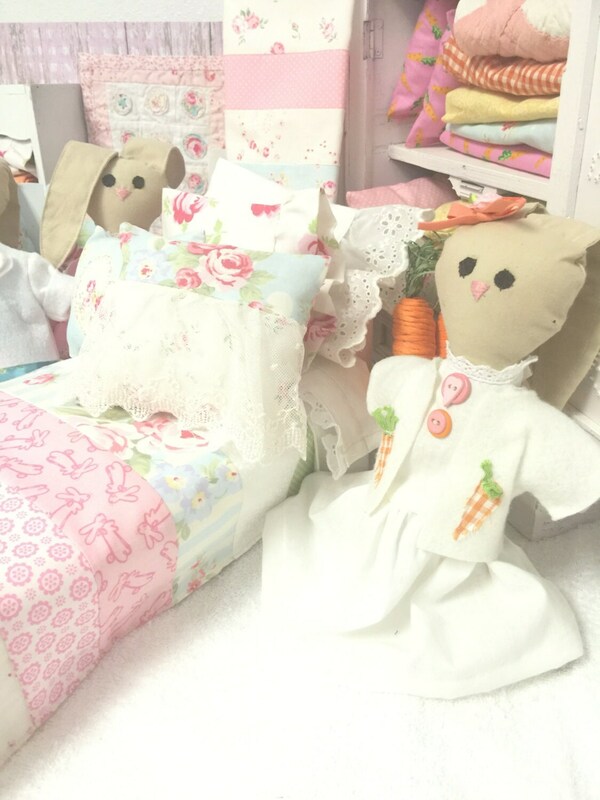 There will also be many patterns filled with delightful outfits, projects for her to work on and how to make her bedroom perfect for sleepovers! 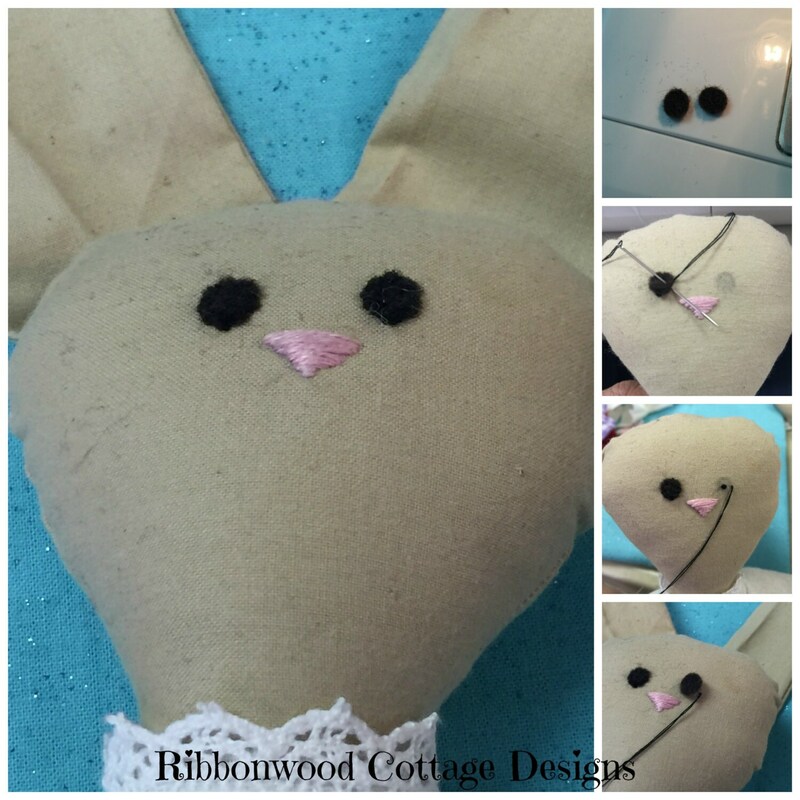 Bunnies have big families you know! 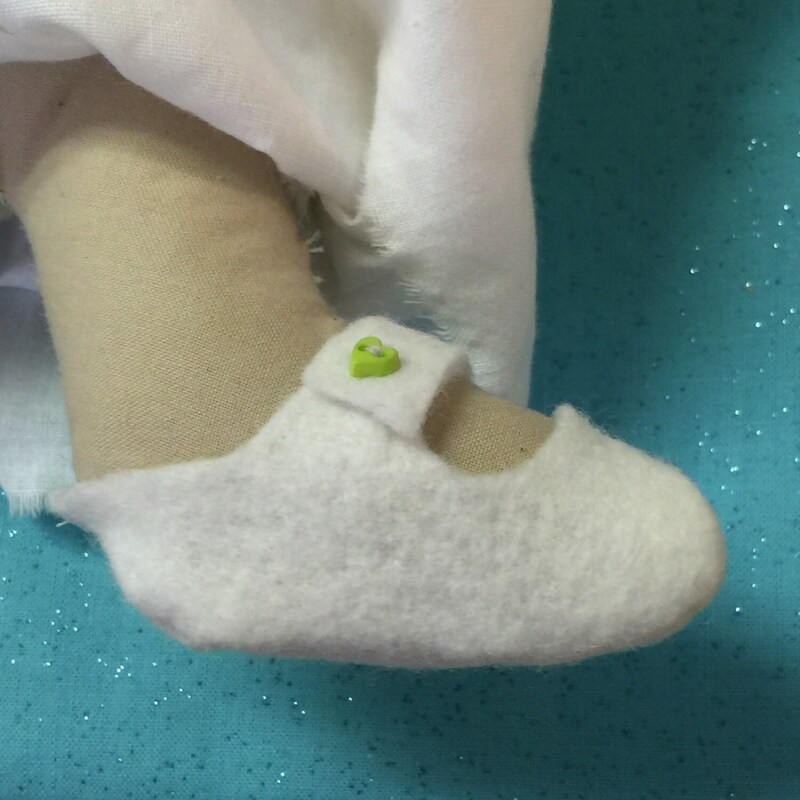 The doll ends up being approximately 10 1/2" tall with her ears flat.